The performance and quality programmes play a key role in the delivery of offshore call center services. These programmes determine whether the services delivered are of proper quality or not and whether the offshore call center is performing up-to the mark or not. The issues have been divided into certain categories that present a broader and more exhaustive view of the scenario. The Accuracy Issues: Most of the managers believe that these programmes are not an accurate reflection of the true performance value they convey to the role. Most of the times it picks up mistakes that are very small and minute in nature and sidesteps the good things that the employees do. Employees believe that each call is unique in itself and it should be judged according to its content and not by a tick box exercise. The Fairness Of The Programme: Usually the sample size for calculating performance is very small therefore the fairness of the scores cannot be determined accurately. Further, judging the quality of an agent on the basis on one single call is not fair. You have to monitor each agent over a certain period of time and then determine the quality of their services and their performance. The Focus Of Such Programmes Usually Lies In Wrong Places: Quality and performance monitoring programmes are designed in such a way that they view quality with the perspective of business rather than focusing on what a customer believes to be good quality service. Further, keeping bonus targets and KPI’s cannot truly show the demand of the work. This results in supervisors pushing agents to achieve a certain number rather that focusing on the quality. Putting Efforts In the Wrong Directions: As these programmes are not able to track the true performance of agents and the offshore call center as a whole therefore the effort put into the things is a waste. The functioning and operations of the call center companies gets more dependent on the feedback provided by their managements. Further, agents are always eager to see the feedback that they got but they are not able to get access to such reports on time because the system could not provide it quick enough. The Solution We, at Call Centers India, believe that quality and performance monitoring programmes should be developed while keeping in mind the needs and requirements of a call center and its agents in the real world scenario rather that living in a world where everything is ideal and perfect. 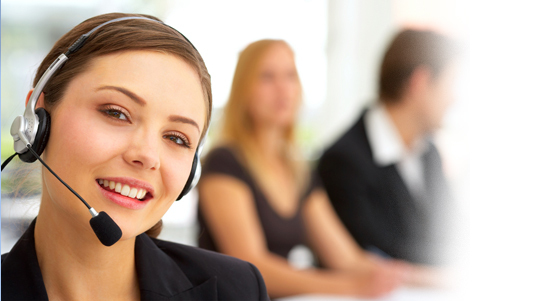 We are one of the largest call centers directory therefore we are in touch with many call center outsourcing vendors and we know how they think and feel. Our suggestion is that such programmes should be developed with a humane touch and should include human interference in order to generate true and reliable reports.